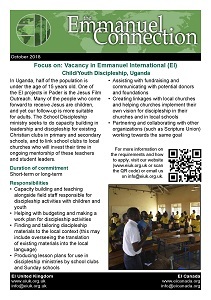 We are looking for someone who will help develop the School Discipleship project, which seeks to build capacity in leadership and discipleship for existing Christian clubs in primary and secondary schools, link school clubs to local churches, work hand-in-hand with Scripture Union to train up teachers, and participate in teaching youth in conferences and vacation Bible camps. For more information, visit this opportunity on our website. Please pray for us. We really value your prayers! Download our prayer calendar for this month from the link below. If you would like to regularly receive The Emmanuel Connection, the EI monthly prayer calendar, via email please subscribe to our mailing list. 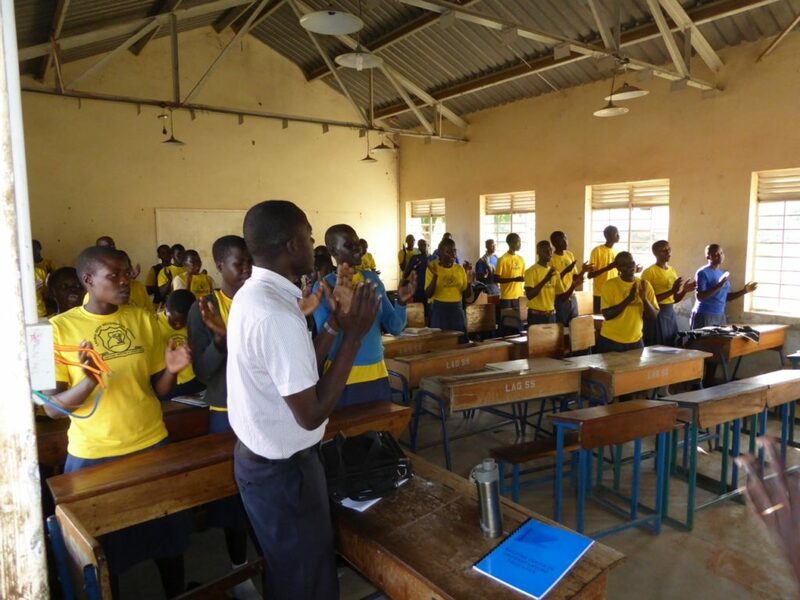 Did you know that you can view The Emmanuel International Prayer Calendar on Google? You could also add it to your own Google Calendar (or any calendar that uses ical) and see our prayer points every day. Download the ics file here.